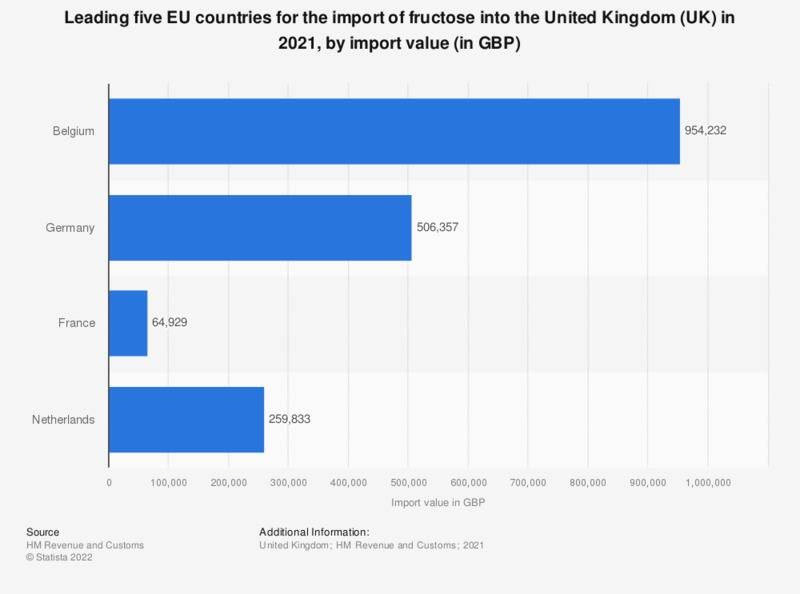 This statistic displays the leading five countries in the European Union for the import of fructose into the United Kingdom (UK) in 2018. In this year, Belgium was the leading market for the import of fructose syrup into the UK with an import value of approximately 1.3 million British pounds, followed by France at 631.1 thousand British pounds. For the equivalent data on the leading countries of destination for exports of fructose from the United Kingdom to the EU, please see the following. U.S. population: How many bottles of pancake / table syrup have you used in the last 30 days?